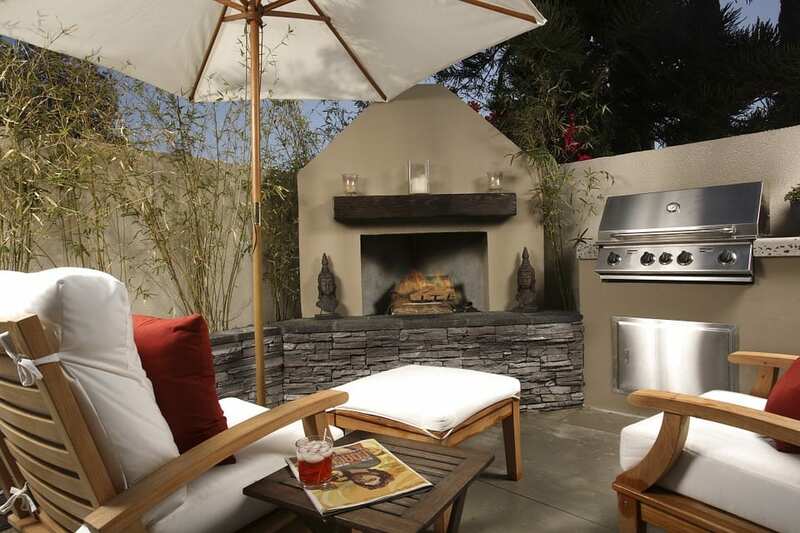 If you want to take advantage of your backyard year round, an outdoor fireplace is the perfect addition. It will expand year-round outdoor entertaining possibilities and create a cozy, welcoming atmosphere for your backyard. However, the cost of an outdoor fireplace is definitely something to keep in mind.The costs of construction and installation can take a big bite out of your budget. Before you build an outdoor fireplace, make sure you consider your needs that will impact your outdoor fireplace cost. More often the not, the biggest cost factors are labor and fireplace type. Pre-fabricated fireplaces will require very little work and can be completed in a matter of minutes by a fireplace professional. However, constructing a customized fireplace can be incredibly expensive. A prefab fireplace offers a fairly substantial look with custom appeal, but it’s cheaper to build than a custom-built fireplace due to less labor. A majority of prefab fireplaces are made of reinforced concrete and equipped to burn natural gas or propane. If you use a prefab fireplace, you will need to factor in shipping, freight and delivery charges. Outdoor fireplaces can be built as small as 3 feet wide x 2 feet deep x 4 feet tall, or as large as 15 feet wide x 4 feet deep x 15 feet tall. No one likes to see that wide a cost range, but due to the numerous price factors, it’s no surprise the minimum and max price are so different. Building an outdoor fireplace is no easy feat, especially if you’re going with wood, gas or propane. Electric units, you just by and plug in. All others, real installation is required. Like most fireplace projects, we highlight recommend you call in the pros. Given the nature of the project, the dangers and complexity with custom fireplaces, it’s safer to let pros who have been in the business for years handle it.